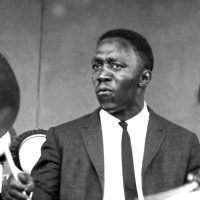 The set was owned by the late Art Blakey. This drum set was given by Art to his son, Art Blakey Jr., who was also a drummer. The set had been in the possession of Art Jr’s widow since his passing in 1988. 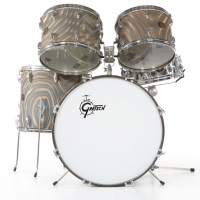 The set was custom built by Gretsch for Art Blakey. 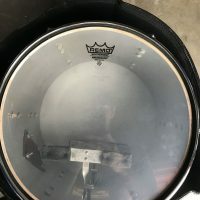 It consists of 9×13 and 10×14 toms, a 16×18 floor tom, a 14×24 bass drum, and a Gretsch chrome over brass 5×14 snare drum. The toms and bass drum are Moonglow Satin Flame. 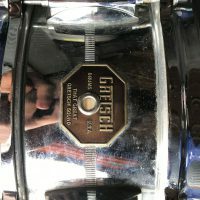 All of the drums have the Gretsch “stop sign” badge, which dates the set to the very late 60s-early 70s. 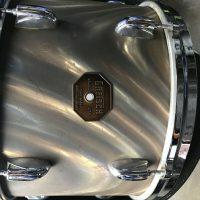 The snare drum has had the strainer replaced with a Pearl strainer which is not uncommon since the original Gretsch strainer was somewhat fragile and would easily wear out after heavy use. The toms and bass drum all have paper tags with the word “special” written on the tags. 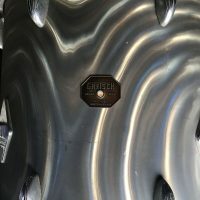 This “special” designation was generally reserved for sets custom made specifically for Gretsch artists. The toms are 6 ply shells. 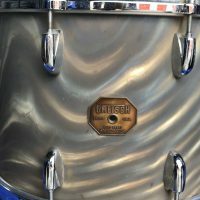 Interestingly, the bass drum is a 3 ply shell and it is probably one left over from the 3 ply era which ended circa 1957. We believe that this is the last Gretsch set that was built for Art. Blakey used a Moonglow satin flame kit with Thelonious Monk circa 1972 (see photo). 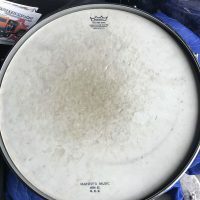 Art generally favored bop kits with 8×12, 14×14, 14×18 bass drum. 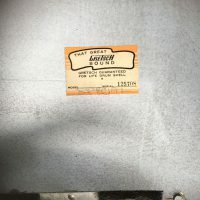 However, as the 70s were approaching it is not unlikely that Art would have requested from Gretsch a set with much larger sizes as he experimented with sounds. Given the thunderous sounds that he could create on small bebop drum sets, we can only imagine how incredible he would have sounded on this larger set. This set is also interesting historically because it is a precursor to configurations used by Art and other key drummers as the decade progressed. 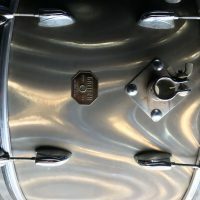 Tony Williams eventually migrated to larger sized Gretsch drums often using these exact sizes (along with additional drums) in the sets he played. 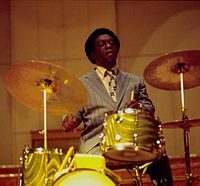 Elvin Jones migrated to a double mounted tom configuration in the 70s and Art did as well, especially into the 80s with his double tom sets, which often consisted of as many as seven drums in the set. The set will ship as palleted freight from Florida. Plan on about $700-$900 shipping. Includes letter explaining the history of the set from Steve Maxwell. PRICE: $24,995. Serious offers considered.